Growing up, my family often visited Louisville on the way to see my grandparents in Indiana. To me, Louisville merely meant Chick-fil-a and a halfway point to my Nana’s stash of homemade trail mix and cookies. Years later, its meaning has finally changed. Older and questionably wiser, I now stream music off of my smartphone rather than a pink iPod mini filled with Sting’s greatest hits.This time, I rolled into the city for more than just a quick bite of food– I came to experience Forecastle festival. We headed to Waterfront Park, the concert grounds, in the late afternoon on Friday and caught Fly Golden Eagle at the beginning of their set. Their mix of psychedelic and southern rock was definitely the perfect start to the festival. St. Paul and the Broken Bones played a soulful show over at the next stage, making me question how Paul managed to break out his best dance moves in a sharp navy suit despite the smoldering heat. We wove through the crowd to find the perfect view and his angelic presence blew the crowd away. Unfortunately, the wind picked up only an hour into his set. I initially hoped the gusts were just an elaborate part of Sam’s set, the force of nature that he is, but the summer storm soon shut down the concert early. Everyone rushed out of the park as quickly as possible, and the rain began. It was unfortunate that the night ended early, but Sam still did an amazing job with his abbreviated show. The weather didn’t stop people from returning to the park the next day. The sun beat down on each and every one of us, but the music went on. The highways above served as a shade for people to stand under as they enjoyed their beer and continued to take in the abundant talent. Lower Dens kicked of the toasty day at their stage in the shadows of the highway. The Baltimore band recently released their album, Escape from Evil and they brought a fresh set of eccentric tunes to the stage. Besides the music, there was also a bourbon tent, where we ventured to escape the humidity. We got to take in the gourmet bourbon while enjoying the cool air. 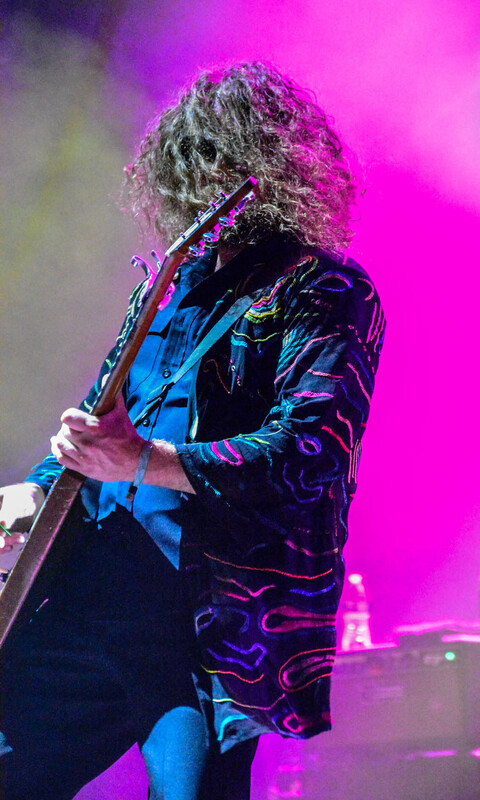 My Morning Jacket closed out the set on Saturday night, and luckily, there was no windstorm to cut off their show. Because of a late start in the day, their set got extended to midnight. This band has been a prominent part of my music collection for years and it was an exceptional experience to see them in their hometown. With their new album The Waterfall out, they played some fresh tunes, but they definitely brought out tunes from their classic albums and the crowd was pleased. I experienced the consequences of the scalding heat on Sunday, but I was too busy enjoying the music to even recognize that I was bright red. Twin Limb, a band from Louisville, really captured my ears. I had met MaryLiz, a member of the trio, the day before in the bourbon lodge. She was so kind when she told me about her band that I couldn’t resist stopping by the stage to learn more. I was so impressed by the Kentucky 3-piece. Their music is a mix of ambient folk sounds, wrapped together by a haunting accordion. They’ll be playing in Nashville at The Basement next Thursday, July 30, and I look forward to hearing them play again. Tallest Man on Earth played as the air began to cool. I had seen him play years ago, but this was the first time I saw him perform with a band. His performances usually consist of his stirring vocals and guitar accompaniment, but the instrumental additions were sonically pleasing. Lizzo, a hip-hop artist from Minnesota and one of the most vivacious acts of the festival, captured the eyes and ears of many. She was running late to her show, but still managed to wow the whole crowd. While this performance marked her first Louisville show, she already had a crowd of admirers eager to hear her play, and she didn’t disappoint. The night ended with Widespread Panic. I did not plan to stay for this show, but accompanied my friend and enjoyed the lights. I really appreciated that the band had a sign language interpreter on the side stage with them. I left the state with a renewed appreciation for a place I’d only ever just visited as a passing thought. My respect for whiskey has grown tenfold and this city is no longer just a stop on a road trip, it is now a destination.